“Who's Rick? What'd he do? Did Rick get fired?” Men with rolling coolers and women holding folding chairs traded theories while waiting for the light on Union Avenue to turn red. A few of them took flyers from protestors, urging them to sign a petition at the Change.org website calling for Rick Dutrow to be allowed to come back to the track. 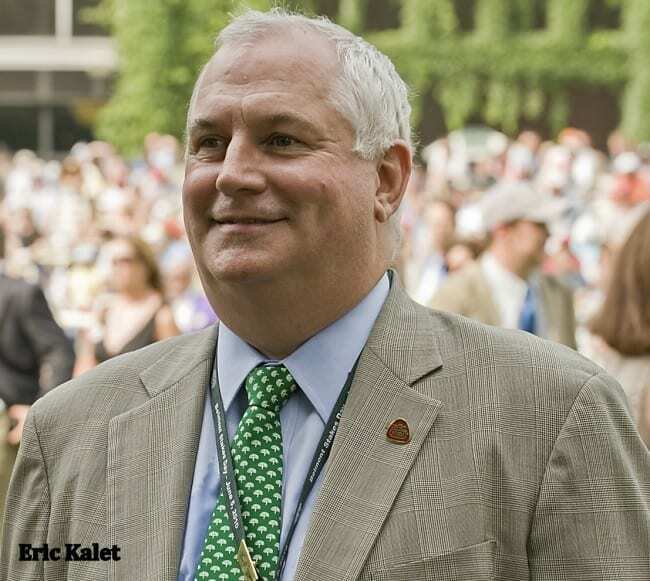 There was a time when, if they'd ever read the Racing Form in the Saratoga backyard, they knew exactly who Kentucky Derby-winning trainer Rick Dutrow was, and they probably bet several of his horses based on his name alone. People on the backstretch still remember Dutrow well, even though he saddled his last horse more than five and a half years ago. In fact, the signs at Saratoga's entry gate that afternoon were mostly held by racing insiders. All meet long, the signs and flyers made the rounds, rattling on the back of golf carts driven by some of the circuit's biggest owners and trainers making the familiar trip from stallside to trackside for morning workouts – as Dutrow himself used to do. The decade-long suspension and $50,000 fine that have kept Dutrow away from the races were handed down in 2011 and nearly everything about him – his career successes, his brusque manner, his medication violations, his attitude towards authority figures and finally, his suspension – have been up for discussion ever since. Some in the industry say the controversial conditioner has more than served his time, while others (including the New York State Gaming Commission) believe he had a 10-year suspension coming to him and should finish out his punishment. The statistics show 2010 was a good year for Dutrow. He finished the year as the seventh leading trainer in the country by earnings, winning 23 percent of his races (137), with total earnings at $7.6 million. He saddled horses in 72 graded stakes races that year, picking up Grade 1 wins with Court Vision and Boys at Tosconova. I Want Revenge and D'Funnybone were in the shed row and doing well. It was a long way from where he'd been just a decade earlier. Son of Richard E. Dutrow Sr., Rick Dutrow left school at 16 and grew up on the racetrack with his brothers Anthony and Chip. Dutrow began working for his father as a teenager and set up his own stable after Dutrow Sr. left New York to train in Maryland. For a long time, things didn't go well. By the time he was preparing Big Brown for the Derby in 2008, a New York Times profile revealed he had battled substance abuse issues and spent stretches of time living in the tack room of his barn at Aqueduct. In 1997, Dutrow's former girlfriend and mother of his daughter was murdered in a drug-related break-in, and his father died in 1999, at which point the two weren't speaking. The time spent with his father taught Dutrow the ins and outs of the claiming game, which he was eventually able to work to his advantage, claiming horses and advancing them to allowance and stakes company. A partnership with owner Sanford Goldfarb helped the trainer gain the momentum that carried him to become one of the top conditioners in New York by 2010. Dutrow's rags-to-riches training trajectory wasn't the only thing racing fans came to know him for, however: when Big Brown was shooting for the Triple Crown, one report indicated he had 72 lifetime rule violations, 13 of which were for medication, mostly for substances now recognized as therapeutic drugs such as clenbuterol and phenylbutazone. In 2008, as Dutrow prepared to take Kentucky Derby winner Big Brown to the Preakness, he made national headlines when he admitted to television cameras that Winstrol was part of the colt's training regimen. Winstrol, the brand name for the anabolic steroid stanozolol, was legal in 28 of 38 racing jurisdictions at the time. Further confusing the issue, Dutrow seemed uncertain why he was giving Winstrol to his horses. The admission by Dutrow that the then-legal muscle-building drug may have helped a horse win the Kentucky Derby came in the wake of Major League Baseball's steroids era, when many of the sport's most cherished records were tarnished due to the use of anabolic steroids. Dutrow had gotten into trouble with racing authorities over his own drug use, too. He had two marijuana possession violations in Maryland in 1976 and 1980 and in New York in 1988, and tested positive for marijuana in California. Still, many of the violations on his record in the database Thoroughbred Rulings are clerical – failure to have a Coggins form or foal papers on file in the racing office before a race, forgetting to have racing silks available for a horse, or not having a horse in the paddock at the right time. For some people, Dutrow's previous violations demonstrated he was a problem; that he was unwilling or unable to follow the rules laid out for him. For others, the therapeutic overages and paperwork problems simply spoke to the challenges of running a large barn — that sometimes, mistakes happen. “What happened here with the needle thing and this positive, all within two weeks of each other, I knew that wasn't right,” Dutrow told the Paulick Report. “I didn't do this kind of stuff. How are these needles showing up in my barn? In February 2011, stewards issued a 30-day suspension for Dutrow's possession of the hypodermics and 60 days for the butorphanol overage, making for a total of 90 days. After news of the suspension hit the trade press, Association of Racing Commissioners International president Ed Martin penned a letter to the New York State Racing and Wagering Board, suggesting the group reconsider the stewards' ruling and issued a press release via ARCI calling for the same. In his letter, Martin pointed to 64 sanctions across nine different states, though there seems to be some debate about the actual number. Dutrow's attorneys would later point out 31 of the 64 entries in Dutrow's violation list were duplicate entries, serving to note when a suspension had been reduced or a fine paid. 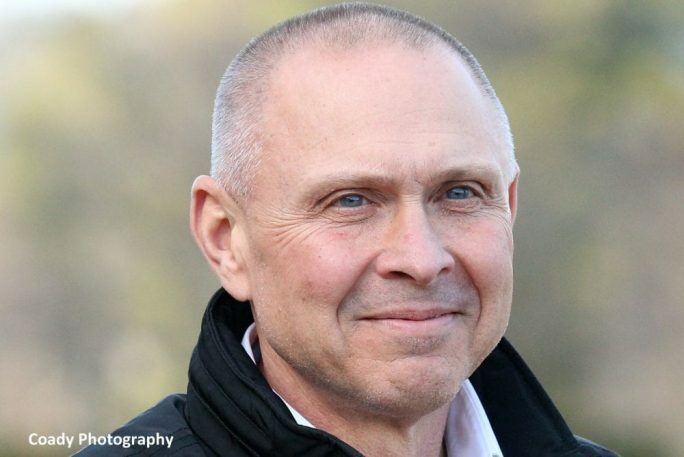 In October, the Racing and Wagering Board announced a unanimous vote to revoke Dutrow's license for 10 years and issue a $50,000 fine ($25,000 each for the syringe and butorphanol violations). 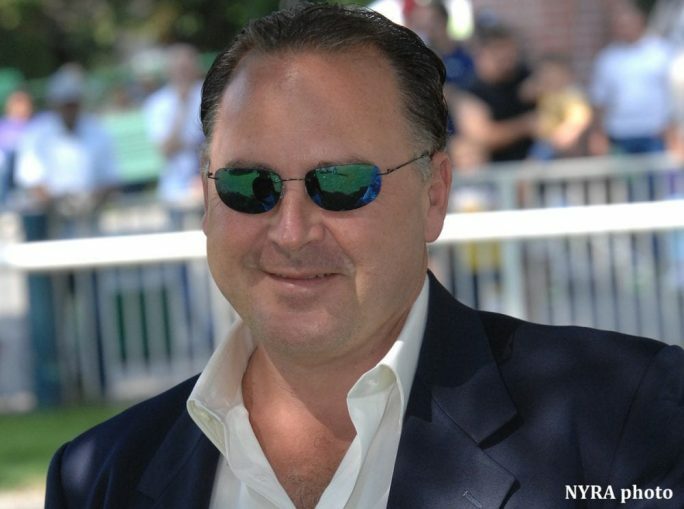 “New York's racing industry has no place or patience for Mr. Dutrow,” board chairman John Sabini said in a release. “His repeated violations and disregard of the rules of racing has eroded confidence in the betting public and caused an embarrassment throughout the industry. For those keeping track, it would seem Dutrow should be nearly done with a 10-year sentence issued in 2011, but the decade-long countdown to regain his license didn't begin until after the appeals process ended in 2013. Dutrow and his attorneys appealed the case as far as the New York Supreme Court's Appellate Division, claiming his due process rights were violated during the administrative proceeding and pointing to Sabini's involvement in both the New York board and ARCI. Sabini was chairman-elect of ARCI when New York regulators issued the 10-year ban. Dutrow's legal team also filed a federal lawsuit against the New York board, Sabini, ARCI, and board members Daniel Hogan and Charles Diamond, seeking to overturn the ban and be paid damages. That suit was dismissed in 2014 based on jurisdictional issues. On the basis of New York's decision, Kentucky and Maryland formally denied Dutrow a license (decisions he appealed without success). Having exhausted all his options to clear his name of the charges related to the butorphanol positive and the syringe, Dutrow's legal team has worked in the intervening years to shorten the length of his suspension. The sign-wavers at Saratoga directed racegoers to an online petition, which has collected over 2,500 signatures from trainers, jockeys, owners, and a few members of the media. The premise: he's been away for five years. He's served his time. “This story is about government, this is about bad actors in government. I really believe this is an example of government going rogue,” said Karen Murphy, who has served as Dutrow's attorney for the last three years. For Murphy, the 10-year ban isn't old news; it's an injustice about which she will continue reminding people. Murphy and co-counsel Andrew Turro submitted an application to the gaming commission in 2016, asking the group to exercise clemency and reinstate Dutrow's trainer's license based on newly-discovered evidence, testimonials from supporters, and their view that the 10-year ban was unduly harsh in the first place. Murphy said she's known of former Dutrow detractors who, after reading the application, have changed their minds. At the heart of the document was new evidence she thinks raises questions about whether the xylazine syringes may have been planted in Dutrow's barn in 2010. Interview reports uncovered well after the commission's decision indicate an investigator for the New York Racing Association was in the Dutrow barn unaccompanied for 40 minutes prior to the start of the search, and that a Racing and Wagering Board investigator was judged by a colleague to have found the three syringes unusually quickly, roughly 10 minutes into the search. The reports also allege the Racing and Wagering Board investigator lied under oath during the proceedings against Dutrow about who originally directed the search. If the sign-wavers were any indicator, many on the backstretch agree with her. Trainer Dale Romans has been one of Dutrow's loudest and most determined supporters. One of his primary objections to the 10 years: it came after Dutrow expressed an interest in appealing the original 90-day sentence. 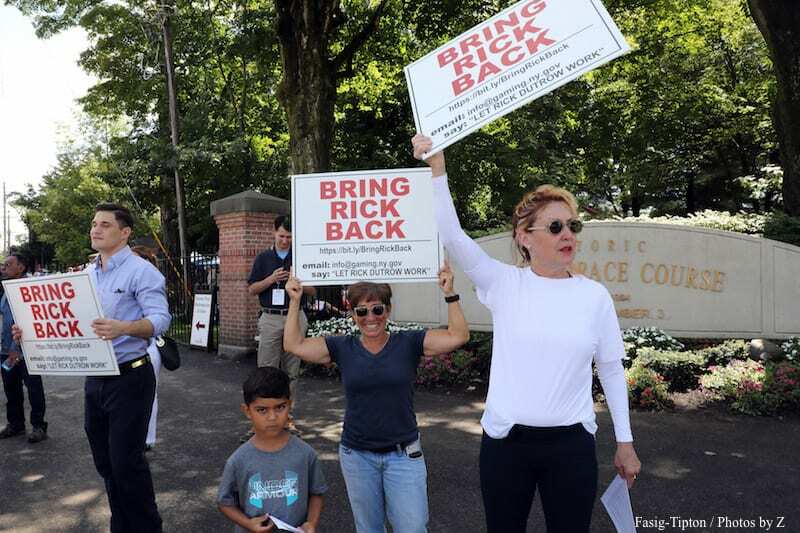 Tony Dutrow, fellow trainer and brother to Rick, believes the 10-year suspension was the commission's revenge for years of public criticism from Rick, who Tony said had become a thorn in its side. If anything, Romans believes Dutrow's history of no-filter declarations has been good for the game – including that admission about Big Brown's Winstrol. “That's why we don't have him anymore, because he answered questions, [including] that question honestly,” said Romans. “That's the day the push started to get steroids taken out of the game. He's done more for the Hay Oats and Water group than anyone else in the game, and yet they want to keep him out of it. For his part, Rick Dutrow said he's not sure whether his personality played a role in the Board's handling of his case. But if it did, he said, it shouldn't have. “It certainly should not be personal,” said Dutrow. “Am I supposed to do 10 years for something I said? If I am supposed to do 10 years for something I said, then say that. Rule me off for saying this. If anything, Dutrow guesses the state had it in for him because they suspected him of cheating. They were wrong about that, he insisted. “They think I cheated to win races. How is this possible in New York, where I didn't have any breakdowns? When you use a cheating drug to make your horses run faster, you're asking the horse to overextend himself without him knowing that. That horse is going to break down. The language of New York's order banning Dutrow from the track also prohibited him from participating in racing “directly or indirectly,” whether on or off track property. His supporters say that's made it impossible for a lifelong trainer to find any kind of work. He filed for bankruptcy protection in 2017 and had his debts discharged by a New York court. These days, Dutrow's attorney Murphy said, he's spending his time volunteering at a mounted therapy program in New York. It's perhaps no surprise Dutrow's brother and former colleagues support him. One name on the petition that should raise some eyebrows, however, is attorney Bennett Liebman. Liebman, former executive director of the Government Law Center at Albany Law School, was on the Racing and Wagering Board for 12 years, leaving in 2000, and also served on the NYRA board. He was appointed deputy secretary for Gaming and Racing by Gov. Andrew Cuomo in June 2011. Liebman's support of Dutrow is purely a matter of law, rather than a personal belief in the controversial conditioner; as far as he can tell, there simply is no precedent for handing a trainer 10 years for a therapeutic overage and possession of hypodermics. Even under ARCI's multiple medication penalty guidelines, which were not developed until after 2010, Liebman points out Dutrow's suspension would not have stretched to anything like 10 years. Based on penalty classifications, Dutrow would have had, at most, two MMV points lingering from past medication positives had the system been in place then. “Even if you treat the hypodermic needles containing xylazine as a second Category B drug violation, the ARCI penalty for Dutrow's 2010 violation would be a 30-180-day suspension plus a fine between $1,000 and $2,500,” said Liebman. “No matter how you look at it, the five years plus suspension that Dutrow has already served is strikingly far harsher than the maximum 180-day suspension imposable under the new ARCI rules. Indeed, few trainers have been ruled off for as much as 10 years. Those who have received harsher penalties, committed significantly different transgressions. Trainers John H. Bassett, Jeffrey Heath Reed, and Carlos Sedillo got bans of 10 to 21 years for use of dermorphin (a.k.a frog juice) in 2012. Trainer David Wells had his license revoked in Pennsylvania after pleading guilty to rigging a publicly exhibited contest. Even Patrick Biancone, who had cobra venom discovered in his barn, was only suspended for a year by the Kentucky Horse Racing Commission. Then there's the matter of requesting to have Dutrow's sentence shortened; Murphy points out the only mechanism available for petitioning to have the original suspension reduced is to ask the same body that handed down the suspension whether it wants to talk this over again. Although the voices calling for Dutrow's reinstatement are loud, they're not unanimous. Former Racing and Wagering Board Chairman John Sabini declined comment for this story but did point out 10 years is already shortened from what it might have been. Two weeks after the ARCI's Ed Martin requested the board reconsider the stewards' 90-day sentence, the board issued an Order to Show Cause seeking to revoke the license permanently. Board member Charles Diamond, who would later be sued by Dutrow, called a lifetime ban “too severe” and suggested the 10-year period instead, which the board agreed upon. 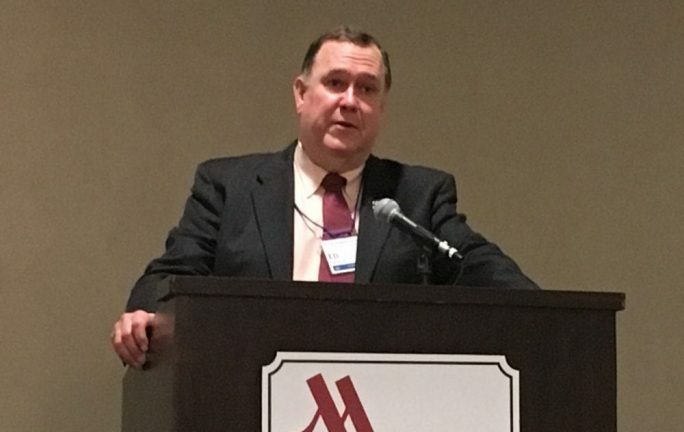 Charles Hayward, who was NYRA's president and CEO at the time of Dutrow's suspension, points out there is legal recourse for someone who feels they've been treated unjustly by the commission – and Dutrow has used it. “I certainly didn't always agree with the decisions by the State Racing and Wagering Board, and I do think they tend to be political in nature, speaking from my own experience,” Hayward said. “But I think that he had two bites at the apple. He had two appeals and he was unsuccessful in that regard. For some people, Dutrow's medication history isn't the main concern with allowing him a license – it's his history of dishonesty. Liebman, who believes the 10-year ban is excessive, voted to revoke Dutrow's license 25 years ago because he said the trainer was caught trying to swap clean urine with his own during a commission-ordered human drug test. When the Kentucky Horse Racing Commission denied Dutrow's application for a trainer's license, Dutrow appealed the action, sparking a review by hearing officer Robert Layton. Layton's report described inconsistency in Dutrow's previous license applications; when asked whether he had been arrested for a crime in the past 15 years, Dutrow wrote “Yes, to be discussed” in 2011. In 2004 and 2005 he answered “No,” in 2006 he answered “Yes” and reverted to “No” again in 2009 and 2010. In a meeting with the License Review Committee, Dutrow “denied knowing his own arrest history” before eventually admitting to a felony conviction in 1991 for breaking into a slot machine in Nevada. He left this off a subsequent application in 1995 and got a $250 fine as a result. According to the report, Dutrow also falsely answered a question in a 2009 application about whether he had a license in Kentucky suspended (he had, in 2008, for a clenbuterol overage). Also in that meeting with the License Review Committee in Kentucky, Dutrow told officials he had run “many horses” under the name of Bobby Frankel while on suspension, including Saint Liam when he won the Grade 1 Stephen Foster at Churchill Downs in 2005. Dutrow billed owners Mr. and Mrs. William Warren for his training services throughout that 60-day suspension and received his share of the Stephen Foster purse. Then there's the case of Wild Desert. Dutrow picked up the Canadian-bred colt when trainer Ken McPeek temporarily dispersed his stable and the son of Wild Rush was being pointed to the Queen's Plate at Woodbine. 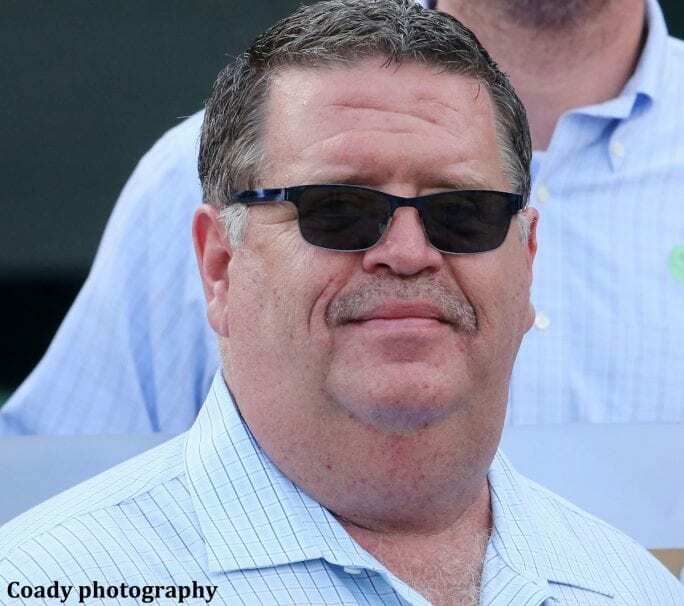 After officials grew suspicious of betting patterns by Daniel Borislow, Wild Desert's now-deceased co-owner, Dutrow was told by New York officials he could not stable the horse on NYRA property. As he would later admit to the License Review Committee in Kentucky, Dutrow did it anyway, sending the horse to Aqueduct under an assumed identity. He sent a different horse to Monmouth, where it recorded an official work in Wild Desert's name. Another time, Wild Desert allegedly breezed before the official clocker arrived. Because he was suspended at the time of the Queen's Plate, Dutrow later admitted he sent the horse to Bobby Frankel to act as program trainer for him. Wild Desert won the Queen's Plate at 3-1 with just two recorded works in the program over 10 weeks. Borislow allegedly made $100,000 betting the race. Whether Dutrow was simply trying to get around orders not to bring the horse on the grounds, or consciously manipulating the horse's resume in the Queen's Plate program is something only he knows for sure. Some racing officials told the Paulick Report that either way, the incident – not another drug violation – would have been enough to convince them to hit him with a serious suspension. The New York commission gave him 14 days' suspension and a fine of $25,000 at a time when he had already lied on license applications and attempted to fake his own drug tests. Dutrow, on the advice of attorney Murphy, declined to discuss the Wild Desert controversy in his recent interview with the Paulick Report. No matter which side of the aisle you're on, it seems racing officials had hoped to make an example of Rick Dutrow. It's hard to say whether that has worked. If the 10-year ban was intended to serve as retribution for past sins, it seems misplaced. It's not immediately clear why Dutrow's inconsistent answers on Kentucky license applications weren't discovered until 2011 (or at least, did not result in penalties before then). It's also hard to say why authorities in New York and New Jersey didn't pursue the Wild Desert case further (or for that matter, officials in Canada, where Dutrow later admitted he ran a horse in someone else's name). According to his record in Thoroughbred Rulings, he received no action related to Wild Desert from the New Jersey Racing Commission. If part of making him a successful example was sending him into obscurity, commissions haven't quite gotten their wish. Murphy intends to continue fighting the 10-year suspension. She said she isn't getting paid for her time. This entry was posted in NL Article, Ray's Paddock and tagged 2018 saratoga, charles hayward, Dale Romans, ed martin, John Sabini, karen murphy, new york state racing and wagering board, rick dutrow, saratoga, wild desert by Natalie Voss. Bookmark the permalink.